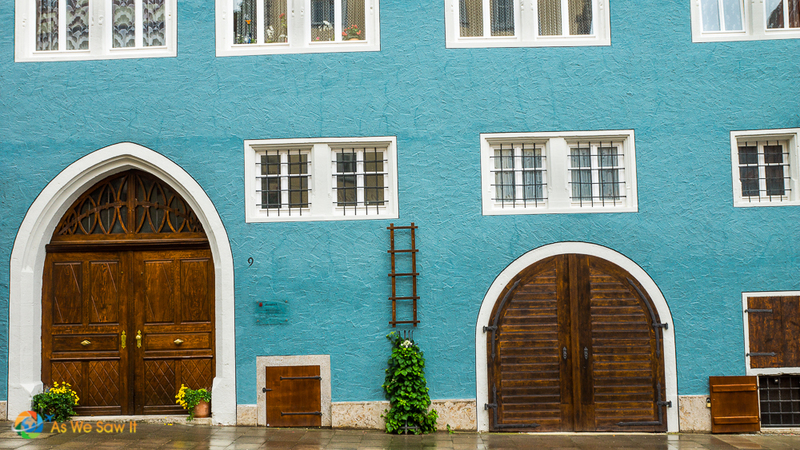 When I first laid eyes upon the itinerary for our Viking River Cruises trip from Budapest to Amsterdam, Rothenburg jumped off the page. It actually slapped me in the face so hard that I knew I had to learn how to prepare to photograph Rothenburg and capture it just as I have seen it so many times on Google, Pinterest and Instagram. 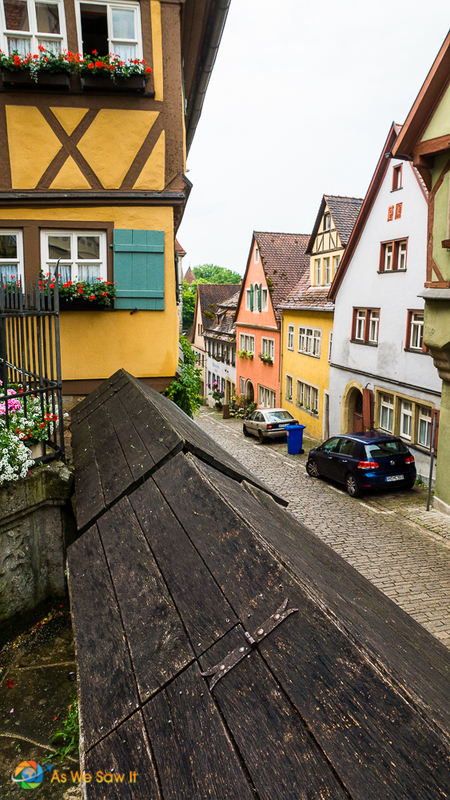 Like these half-timbered houses colorful, quaint and charming are starting points to describe Rothenburg, Germany. 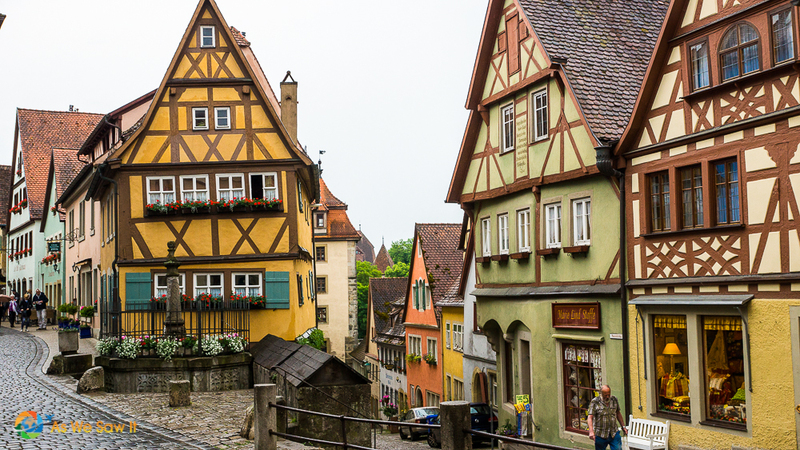 I knew about the iconic images of Rothenburg and the colorful half-timbered homes that greeted travelers through the centuries. But that just wasn’t enough. I wanted to know the town before my feet ever rested in it and well before my lens took in the glory of what Rothenburg ob der Tauber offered. So I also knew that many fellow travelers get so excited about a new place that they wished they had a canned approach to preparing to photograph it. 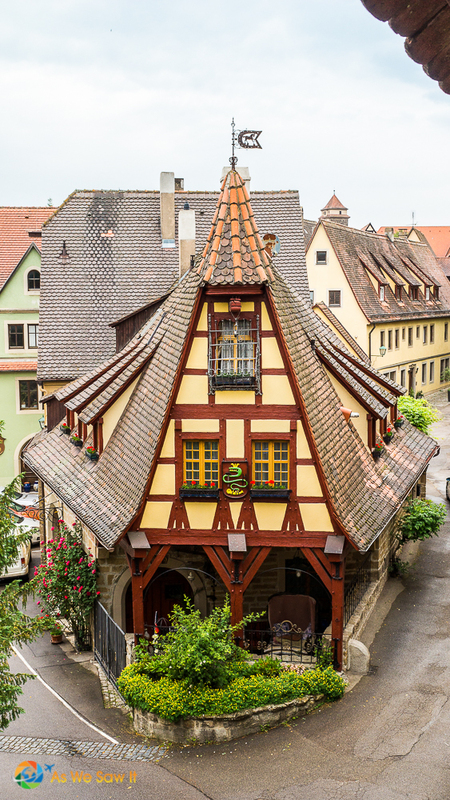 Using these steps will help you prepare to photograph Rothenburg as well as any other location you choose to photograph. Let’s look into this in more detail. 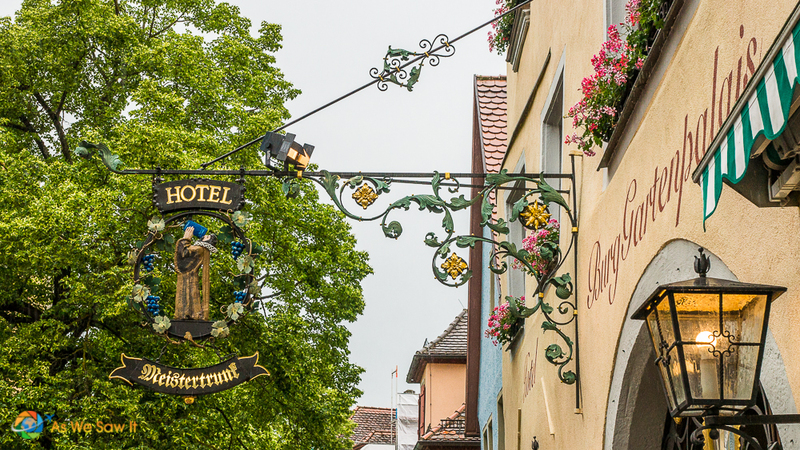 To learn more about Rothenburg, I began with Mr. Google and Wikipedia. 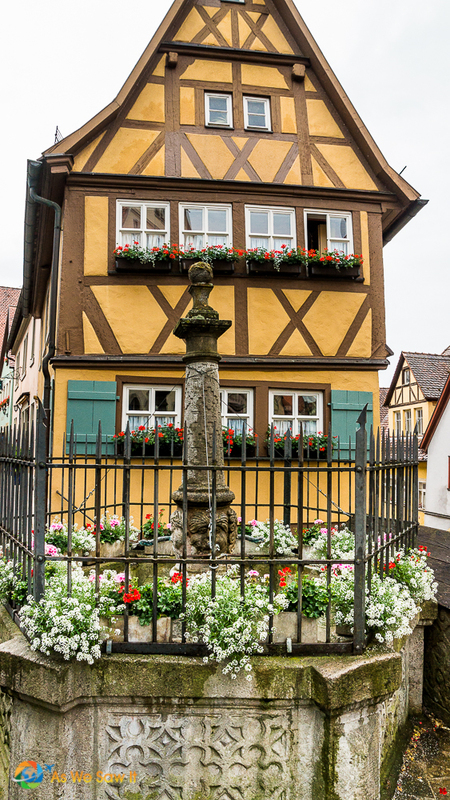 Then I used “rothenburg tourist bureau” as a search term and checked the top official tourist information websites. 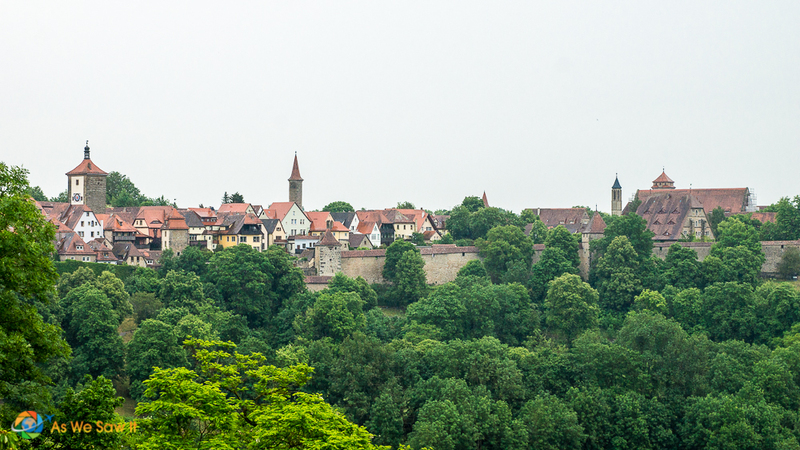 View of Rothenburg from the surrounding walls. 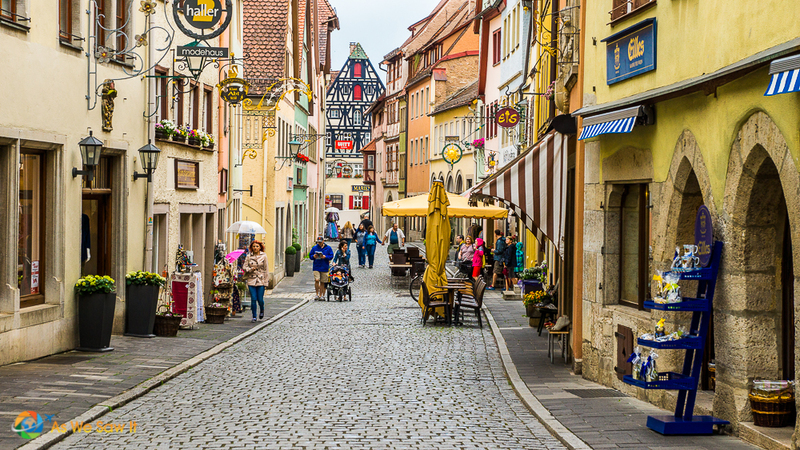 Founded in 1274, Rothenburg ob der Tauber is a small town around 16 square miles in the Franconian region of Bavaria, Germany. The population is about 11,000 people and is well known for its well-preserved medieval heritage and a great destination for tourists from around the world. 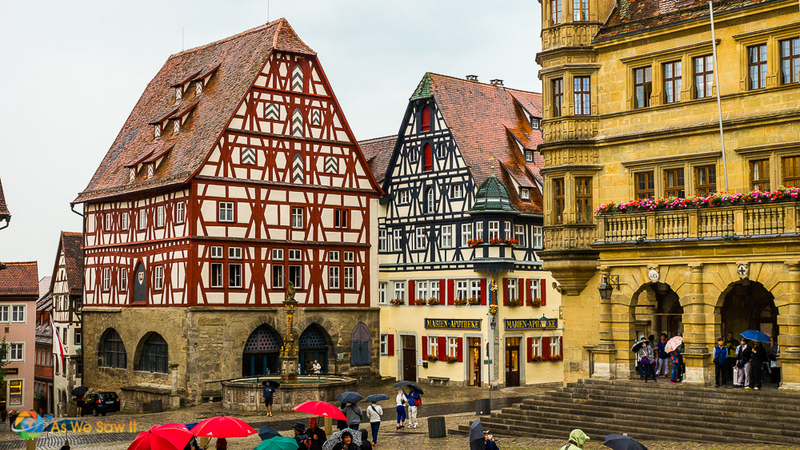 Rothenburg ob der Tauber, meaning red fortress above the Tauber, is a well preserved town along the popular “Romantic Road” that runs through some of the mist beautiful countryside in southern Germany. Rot in German means red like the rooftops of the homes in Rothenburg, Germany. 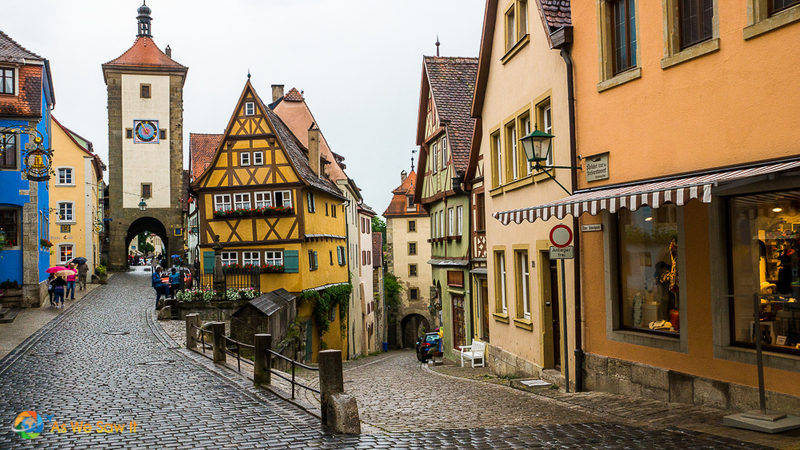 From Wikipedia I learned that Rothenburg has appeared in several films, most notably fantasies. It was the inspiration for the village in the Walt Disney Movie Pinocchio as well as for the Vulgarian village scenes in Chitty Chitty Bang Bang movie in 1968. I also learned a very interesting story from World War Two: Rothenburg held a special significance for Nazi ideologists. it was considered the epitome of the German “home town,” representing all that was quintessentially German and a reminder to the peoples of Germany of the way the Nazis wanted them to live as a family and as a community. In other words Rothenburg simply exemplified this Nazi ideology in terms of an idealized family life. Furthermore, because U.S. Assistant Secretary of War, John J. McCloy knew about the historic importance and beauty of Rothenburg, he ordered U.S. Army General Jacob L. Devers to not use artillery in taking Rothenburg. The final event saving it from total destruction by artillery was that local German military commander Major Thömmes voluntarily gave up the town, despite Adolf Hitler's order that all towns should fight to the end. 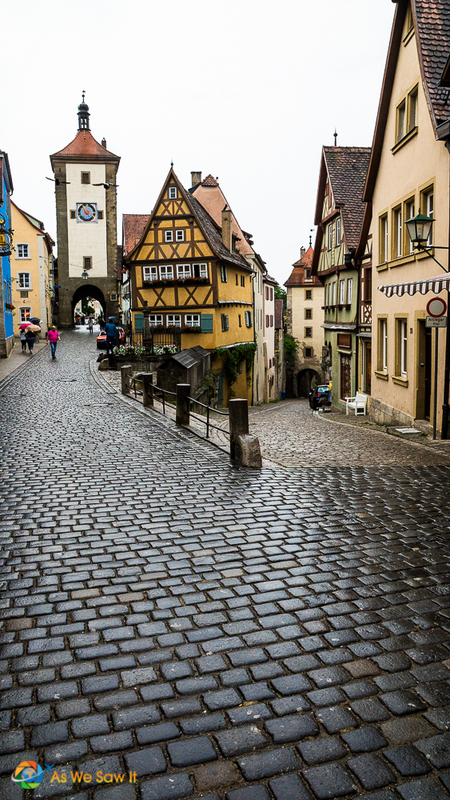 Rain drenched streets awaited our visit adding to the character of Rothenburg, Germany. American troops of the 12th Infantry Regiment, 4th Division occupied the town on April 17, 1945, and in November 1948 McCloy was named Honorable Protectorate of Rothenburg. After the war, the residents of the city quickly repaired the bombing damage. Donations for the rebuilding were received from all over the world. The rebuilt walls feature commemorative bricks with donor names. 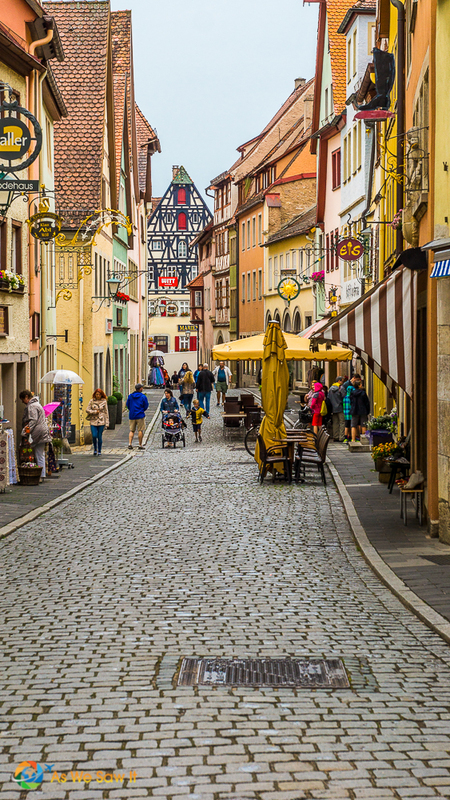 Traffic-reducing measures were put in place in a significant portion of Rothenburg to increase safety and accommodate tourism. 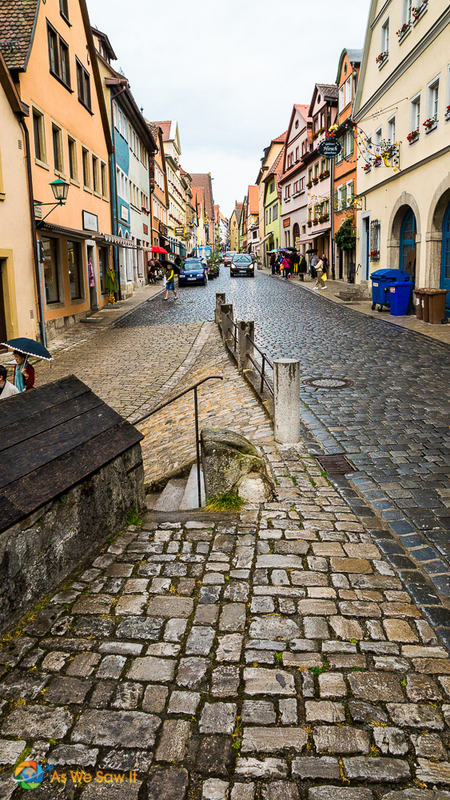 The most iconic image of Rothenburg is the famous junction of Kobolzeller Steige and Spitalgasse. It is even depicted on the cover of two Blackmore's Night albums, 1999's Under a Violet Moon and their 2006 album Winter Carols. Going into Pinterest I simply went to the search section and entered “Rothenburg” into the search. Hundreds of images soon appeared for review. I soon realized that the majority of the images were of that Kobolzeller Steige and Spitalgasse street junction. 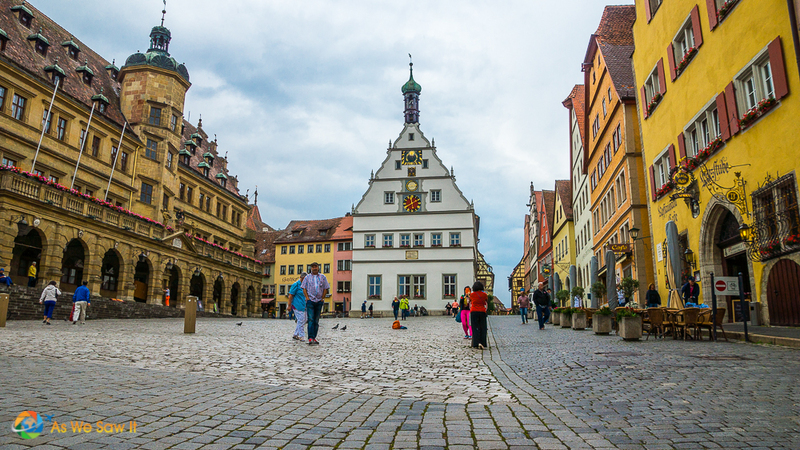 Street level view of the main square in Rothenburg, Germany. Moving to Instagram I followed same process, entering Rothenburg into the search. I found a great deal more images, although the same iconic shot usually came up there as well. Finally I used the “images” tab in Google search. I got the same results from this sight as well. Tip: Spend time looking at the available images and understanding the light, color and the weather conditions. See how people seem to view the shots and learn what makes them so popular. The images appearing at the top of the Google search are the most popular. Why? Getting a map of the location and placing marks on it will greatly assist you in planning a route to get the best of your time. 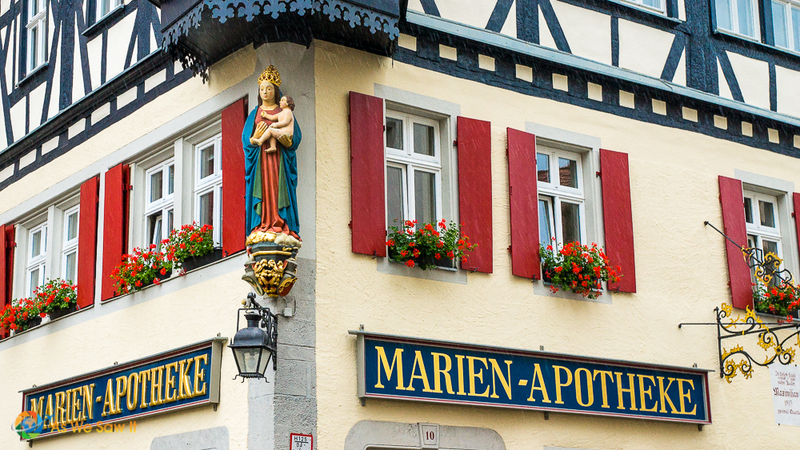 Sometimes, as with our trip with Viking River Cruises, you will be part of a group tour. In this case you would want to look at what the tour will include and plan accordingly. 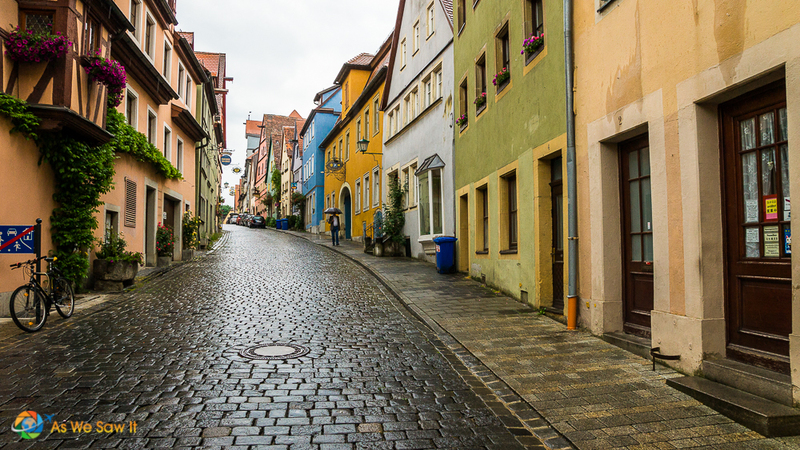 Capturing everyday life is so easy in Rothenburg, Germany since there is so much of it. From the map, learn the names of a few streets as you make your shot list. This too will allow greater ease in getting the job done, knowing what to expect as you go and not having to backtrack. The icons of a city identify the place without words. For instance, when you see Big Ben, the Eiffel Tower or Times Square, you immediately know which city it is. When you have done your research and you know what subjects show up most; those are your icons. Walking through the iconic arch leads to this. Make a list of them and know where they are located in the city. In large cities making this list could be a rather heavy burden, but that will also help you how much time in a city will be necessary to catch at least the icons. A shot list is a must when you plan on not missing anything. It is a terrible thing to get home and realize you missed something, especially when you are writing about your travels and want to show the results. The list should include the iconic locations to shoot along with other ideas you develop during your study time. I even listed various food items and customs of each location. Creating a shot list will enhance your shots and ensure you miss nothing. Finally getting to the location you have prepared for is both exciting and a letdown. The excitement part goes without saying, but why the let down? Because now you are in the moment and it will pass rapidly. Keep your eye on the corners of buildings as these beauties are waiting. You saw the differences in light, weather and people from what you studied. It's as if you know the place like you have been there numerous times. Feet on the ground, loaded with extra batteries, it's time to snap away and start shooting. When you first approach a subject your mind already envisioned, take advantage of that feeling of excitement and take your photos right away. Get to the proper location where the iconic shots were taken and grab your very own. My version of the iconic shot at Kobolzeller Steige and Spitalgasse street junction. Pay close attention to the light and weather. A unique aspect of travel photography is that both conditions are unpredictable. You have to be flexible and move right along with them. When we finally got to Rothenburg, it was raining and Viking River Cruises' bright red umbrellas were everywhere. BUT, it was raining and none of the iconic shots I studied had been taken in the rain. This excited me. I was able to capture the Kobolzeller Steige and Spitalgasse street junction in the rain and absolutely loved it. I must have snapped 30 shots very quickly. Closer rendition of the iconic junction. Afterwards, allow yourself to drift into the scene. Look for any various angles and perspectives that will lend to a unique image all your own. It is amazing how your mind can review what you have seen and lead you to a location that you did not see. This is called working the scene. Up close angle of the iconic street. View from the fountain not seen by many photographers. Move around and capture from all possible angles you can. When you get home, you can always delete but you can never recapture. Work the scene carefully, then check it off of you shot list and move to the next shot. Be very careful to take every shot you had planned on taking. Always take more than you planned. Scan the corners of your view finder for good composition because excitement may cause simple, stupid mistakes. Look for other opportunities like children playing, people in a window, interesting colors and contrast. To ring an apartment, just pull one. 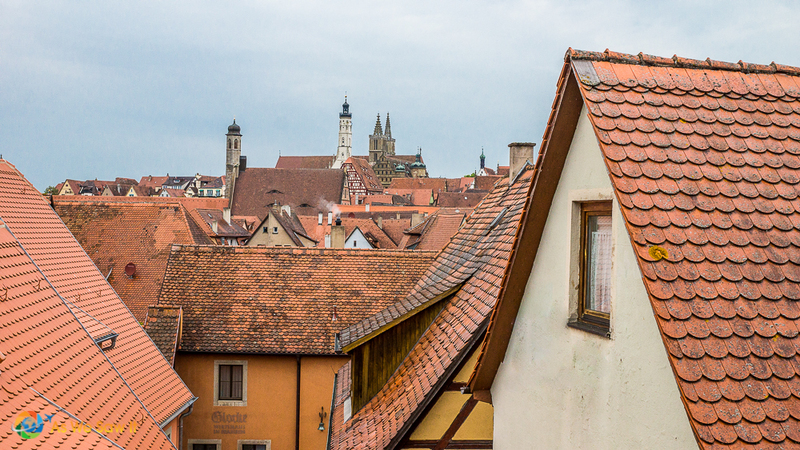 My favorite shot from Rothenburg, Germany is now my desktop wallpaper. 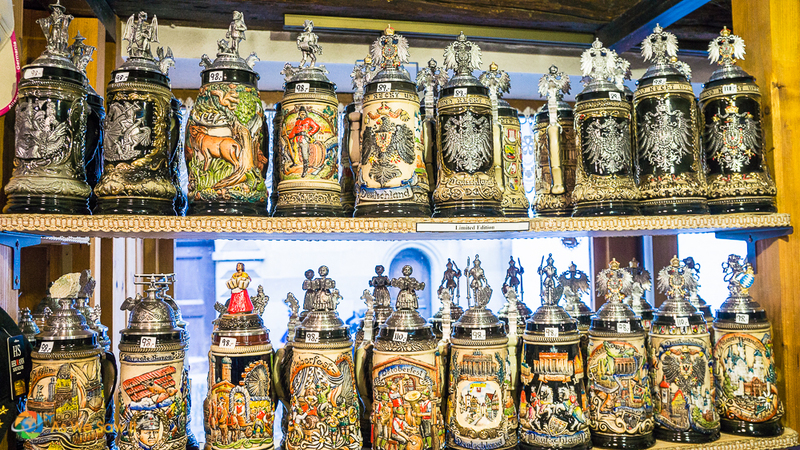 What is Germany without beer steins? These are perfect. I remember the shot well because the store owner kicked me out for taking a photo. Business signs are far more elaborate than in our country. Double check you have it all and if time permits, revisit sites and shoot again. Remember, people, weather and light always change. The worst thing is to start double guessing yourself. Know that you got what you could while you were there. 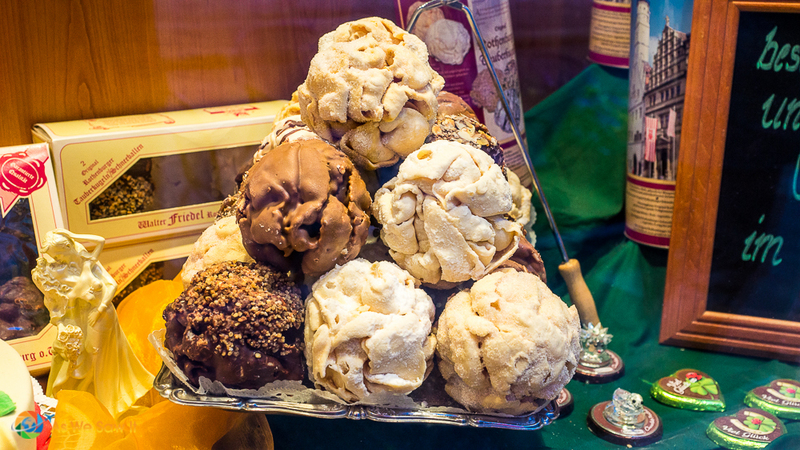 Rothenburg is famous for a local pastry, schneeball. 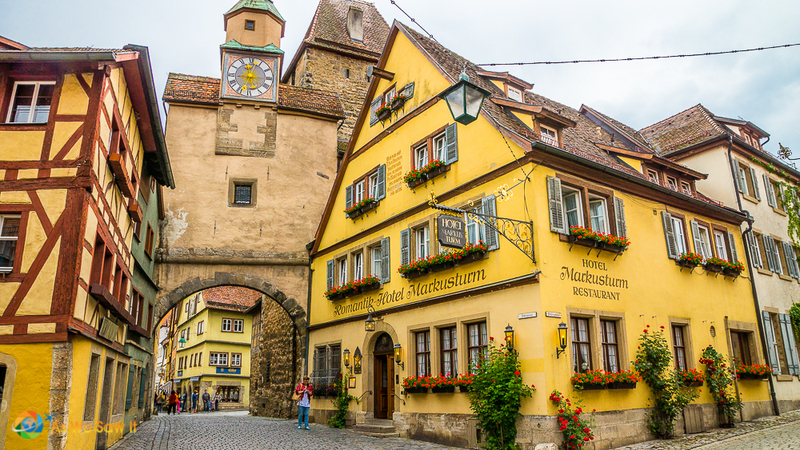 Click here to see more photos from Rothenburg Germany. 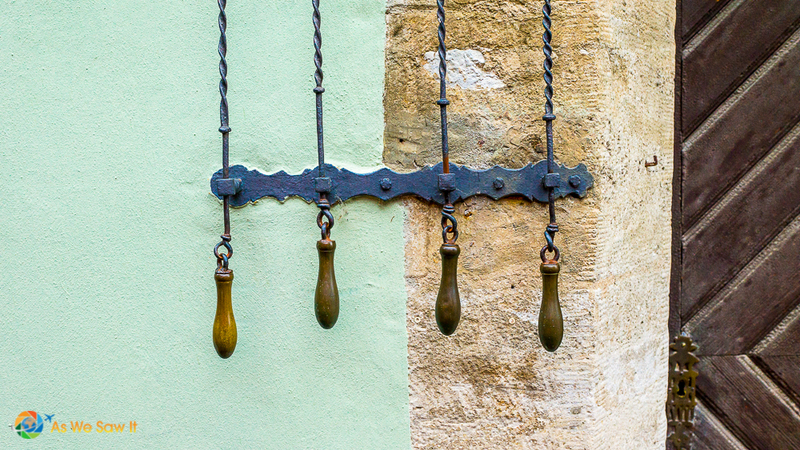 I loved the angles of this house along the wall in Rothenburg. Street shot of mom with children and vendors getting ready for the business day. Great post Dan. I will be visiting Rothenberg in December and this has not only been helpful as a city guide but also in my planning for photographing the other towns we will visit. Thank you Dean. Boy I would love to visit there in December, need someone to carry your bags? It is on my bucket list to visit at that time to see and photograph the Christmas Markets. I have gone as far as googling images of the markets to study what others capture and getting an idea of what I’d want to hit my sensor. How do you say “jealous” in German. Wow, you moved to Germany? I took 2 years of German in high school and loved the study of the country. Now for me, Germany is the most visited country in the number of cities, over Ireland. The food, culture and history have been so intriguing to me since my school years (which is too many years ago.) I haven’t been to the northern part YET… But will some day. So you go and take wonderful pictures of your own and share them with me so I am get even more jealous. What part did you move to? I totally do this too! I like to see how other people capture the small details. I usually use Pinterest to get ideas! My latest obsession is researching how people take photos of temples. There are so many details, it can be overwhelming! Isn’t Pinterest fun? We have such a blast on that site that I finally decided to add pinnable photos to our stories. Temples are fascinating and I understand why you are pinning them. It is pretty, Liz, and I’m glad you thought it’s worthy of bookmarking. Gosh, I never prepare a shot list! Be prepared for the unexpected, wander around, see things other people might miss! I guess with a shot list I would duplicate what has been done a thousand times before. BTW: your commenting field and CommentLuv don’t display properly! Juergen, thank you for your comments. I do the same thing as you do. In street photography it is the unexpected and unplanned things that make for a great shot. A shot list for me helps me to keep on track to get what I need for Linda to write about. As artists, you and I are easily distracted by the beauty of the streets. Many things are out there to distract or for us, to turn into a captured moment in time to share with the world. From people and animals to doors, signs and even unique buildings, many things to capture while walking the streets. So for me a shot list is not just to go and get it, but to get everything else and oh by the way, don’t forget these beauties.